Antique rose gold curb link bracelet made in 1897 in the Victorian era. Product code: ES6103 Categories: Sold Items, Sold Rings. Here is a very beautiful antique rose gold curb link bracelet made in 1897 that is still in excellent condition even after 120 years later. 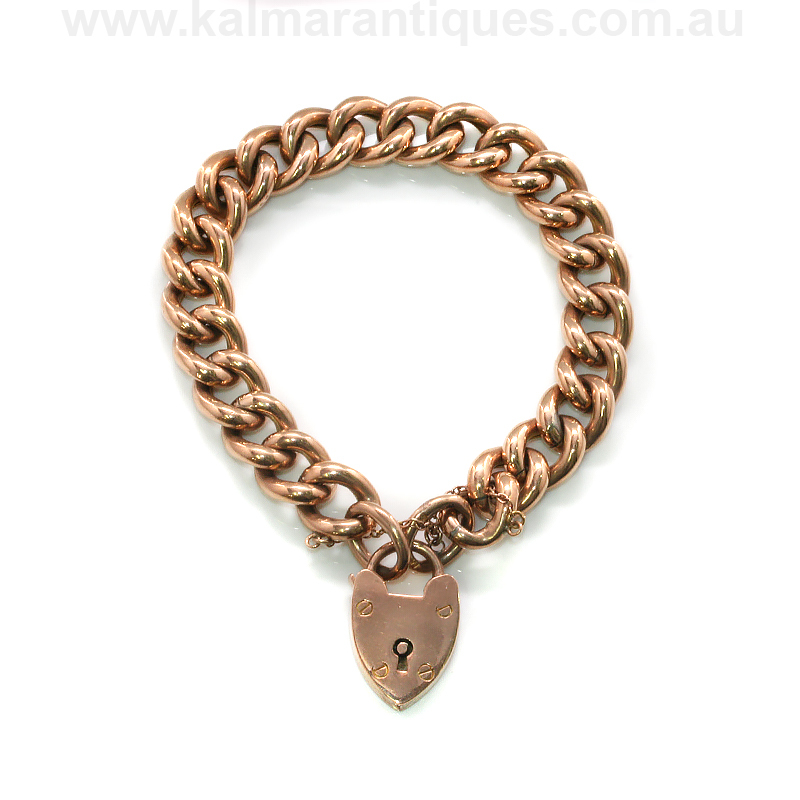 This traditional design was popular from the late Victorian era when this was made right up to today with many reproduction bracelets being made today. Perfect and so comfortable to wear all day or night, the 9ct rose gold has that lovely warm colour to it that is so desired and looks perfect with the heart shaped padlock. Measuring 18.5cm from end to end, each link measures 1cm wide and the condition of this bracelet is just incredible and a real testament to how well they were made all those years ago. Elegant, refined and stylish, this antique curb link bracelet is just perfect for any woman for any occasion. Tag: Antique curb link bracelet.